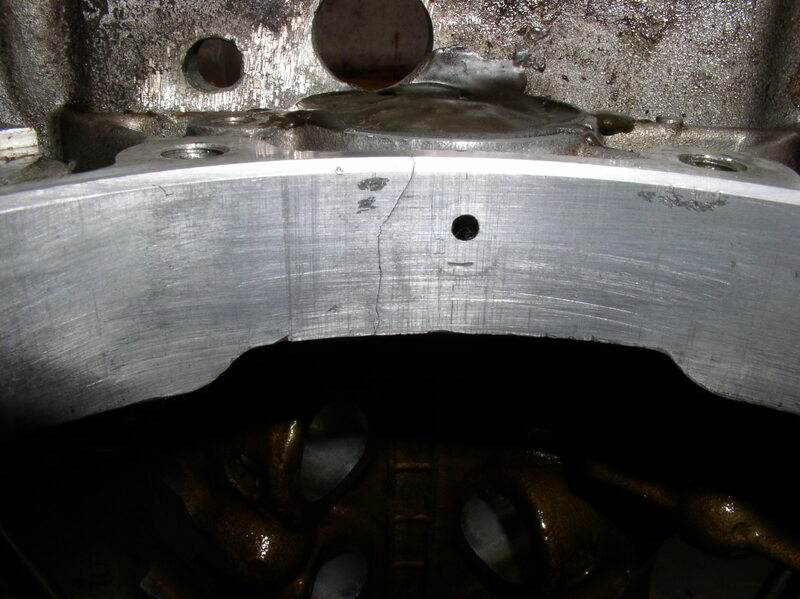 While relatively rare, engine cases do sometimes crack. Just spent an educational two days with Charlie tearing into my Eldo's engine. I had finally had it with the annoying oil leak that its had since I got it. Learned a lot about the inner workings by watching Charlie at work. Anyway, once the engine was on the bench, Charlie laid it down on the timing chest and filled the bell housing with soapy water. 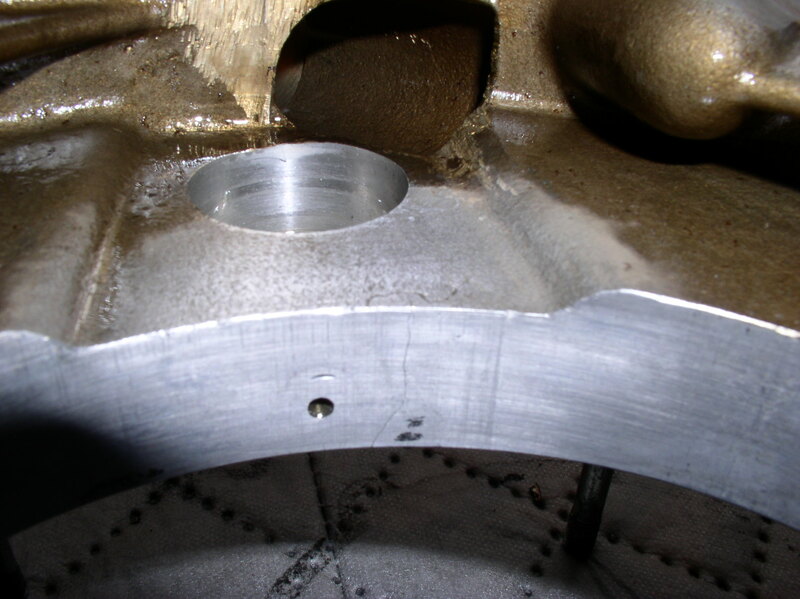 He then pressurized the sump and sure enough, bubbles from under the rear main bearing up near the cam plug. Thought for sure the gasket was compromised. After we tore it town further, the source became apparent. The gasket was still in great condition. 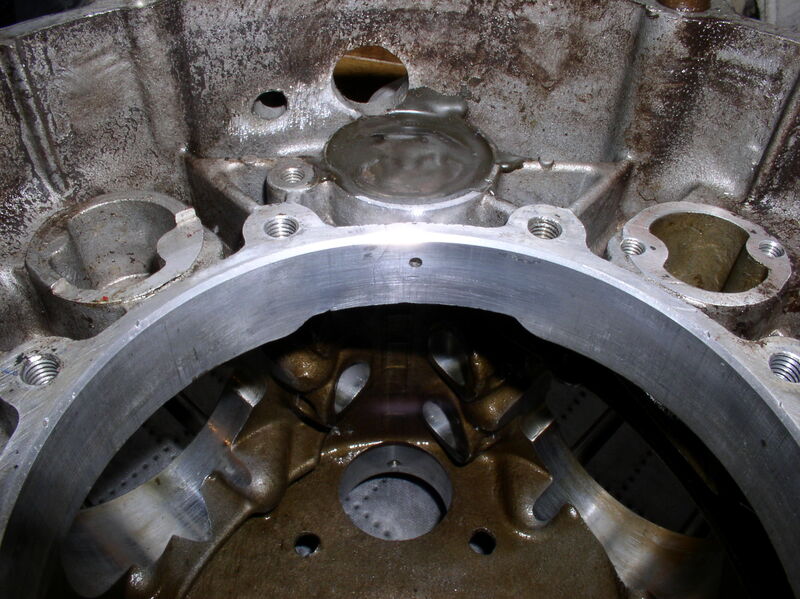 However, there is a nearly microscopic crack in the block beneath where the rear main bearing and gasket sits - on the flat machined edge. Location is just around the 7 o'clock of the cam plug. Hard to believe this would cause the escape of oil, but the crack must widen when the block gets hot. That would explain the oil drips only while/after riding. Charlie had another 74 Eldo block in his stash, and that will be used. This is the second block I've seen cracked in the same place - both were waffle cases, the first was a 72 Ambo ( Dave's Ambo ) and now Cam's. Only took me three times pulling the Ambo engine before I found the crack (very easy to miss if you don't know where to look), got smart and pressure tested Cam's before we tore it down. Cracked just to the left of the oil hole. View from inside. Squiggle isn't the crack. Crack stops about 4 mm from the edge.